George R. Dessen, 84, of Lancaster, passed away on Tuesday, November 26, 2013 at the Mennonite Home. He was the loving husband of Janet A. (Swain) Dessen. Born in Lancaster, PA, he was the son of the late George R. Dessen and Mabel (Eckman) Perry. His father later married Verna L. (Denlinger) Dessen who also helped raise him. An appliance repair technician by trade, he spent much of his career as part-owner of Bob Porter TV & Appliance. He was a retired member of the Plumbers and Pipefitters Local Union 520 of Harrisburg, PA. In his spare time he enjoyed playing golf and traveling. George and Janet traveled to Italy, France and Nova Scotia. They also enjoyed spending time in Florida. In addition to his wife, he is survived by his sons; Larry G. of Lancaster, Gary R. of Birmingham, AL, and daughter-in-law Nancy of Lititz; four grandchildren, Keri (wife of Peter Kubatov) and their children Parker and Nicholas, Jamie (wife of Justin Lindberg) and their son Camden, and Tracy and John all of Lancaster. Also surviving is a sister Pauline (wife of Jere Wise) of Bethany Beach, DE. 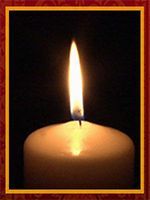 Relatives and friends are respectfully invited to attend a Funeral Service at Kearney A. Snyder Funeral Home, 141 E. Orange St, Lancaster, PA 17602, on Wednesday, December 4, 2013 at 1:00 P.M. with the Rev. Dr. D. Guy Carrigan, Jr. officiating. Friends may call at the funeral home on Wednesday from 12:00 pm until the time of the service. Interment in Conestoga Memorial Park Cemetery. Flowers are welcomed or contributions may be made in his memory to Alzheimer’s Disease Association, 3544 N. Progress Ave., Suite 205, Harrisburg, PA 17110-9635.